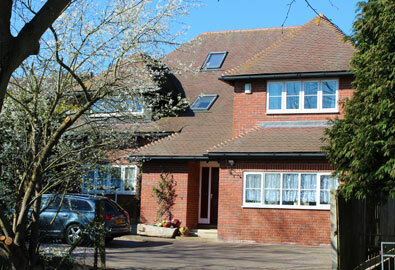 Our ‘Bed & Breakfast’ accommodation is separate from, but within a family home. We offer well-presented bedrooms all with en-suite shower rooms. We, the proprietors, are available to help on local information if needed. Enjoy a substantial ‘Continental Breakfast’ when it suites you (from early morning to mid-day; it’s up to you! Go to Breakfast Tab). Our guest breakfast room can also be used at other times to enjoy your own ready meals. Located, near but not on a main road, 2.5 miles south of Oxford city centre, set in an urban environment but within minutes of the historic Bagley Wood and the iconic River Thames. A bus service running every 15 to 20 minutes (evenings 30 to 40 minutes) is only 3 minutes walk from our b&b, and will take you to the city centre in 15 minutes. Off street parking is available. We are only a short distance (10 minute walk) from the River Thames and a pleasant walk to the centre of Oxford. The village pub within 5 minutes of our B&B offers tasty affordable meals (including all day ‘English Breakfast’! Go to www.hungryhorse.co.uk/locations/tandem), with plenty of alternative pubs & restaurants not far away. We endeavour to meet your needs to ensure a pleasant stay. Indian restaurant and Chinese take-away (you are welcome to use our ‘Breakfast Room’ for ready meals). Our bed and breakfast is near to all of the famous colleges of Oxford. Radley College is nearby, as is Blenheim Palace & the Cotswolds. London, Stonehenge and Shakespeare’s Stratford are about one hour by car. Bicester Village chic outlet shopping is also nearby. Tours can be arranged for you during your stay.